Mission Status: Today was the first really hot day of our mission, a surprise in between the last few days of cool weather and wind. We continued to explore further out into the Martian terrain, exercising extra caution this time to remain hydrated and not push ourselves past our limits in hazardous conditions. The search for our missing science experiments goes on and we simultaneously improvise new science experiments to execute in their place. 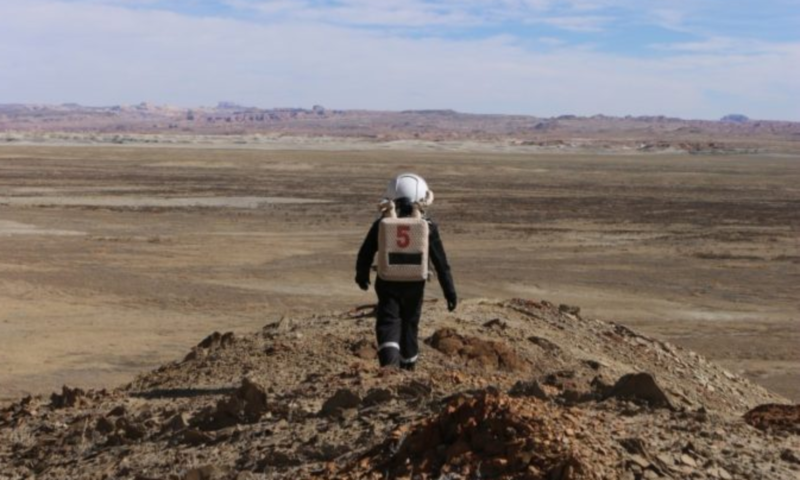 Sol Activity Summary: Our day started early with our first EVA, where crew members Joe Dituri and Andreaa Radulescu went to explore another site to do a bit of hiking and geological investigation. When they returned we all had lunch together, which was followed by a brainstorming session for our next few EVAs. Then we relaxed and watched The Martian, which was surprisingly similar to our own mission (missing crew member, same number of remaining crew members, affinity for duck tape), especially since not long after, a crazy wind storm kicked up. Upon hearing a lot of commotion outside, we decided to have crew members Ashok Narayanamoorthi and Richard Blakeman head out on an engineering EVA prior to our scheduled evening EVA to check all around the hab. They found that a railing near the main door was broken because the front air lock door swung open and smashed railing. They made a couple of adjustments to secure the remaining piece as well as the hab door. Following that, the wind became so strong and started to present a safety hazard to the crew so the leader of the away team (Richard Blakeman) terminated the EVA. 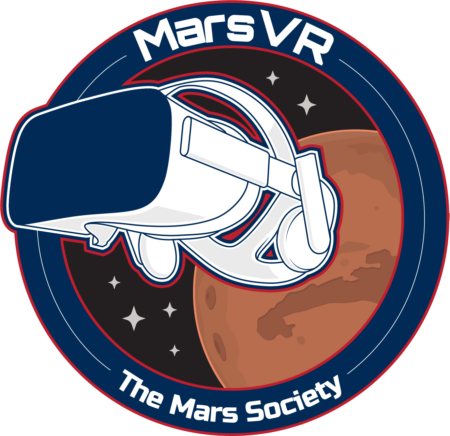 Look Ahead Plan: We will continue to extend our range of Martian exploration as far as we possibly can, but some forecast hazardous weather has prompted us to change up some of our EVA plans. 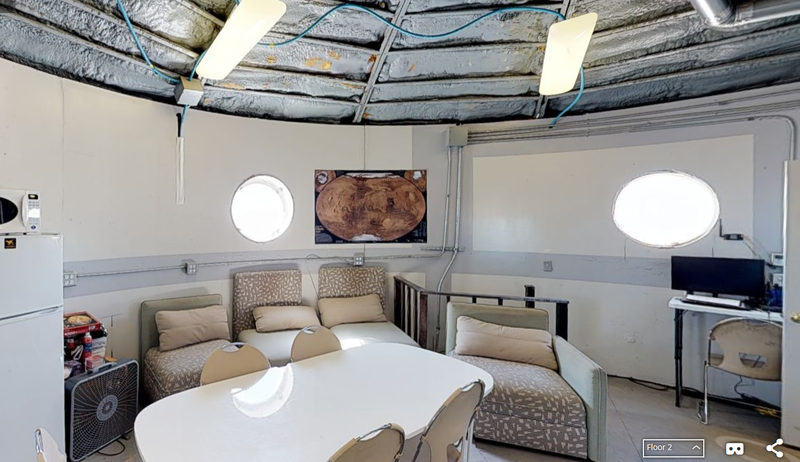 With strong winds predicted for tomorrow and Friday, we may choose to instead remain closer to the hab and work on our water tank cleanup project in the RAM and resume exploration over the weekend. Safety ALWAYS comes first. Weather: Hot and windy. The temperature reached approximately 83 degrees today and the wind storm was severe. Support Requested: See Commander’s Report.